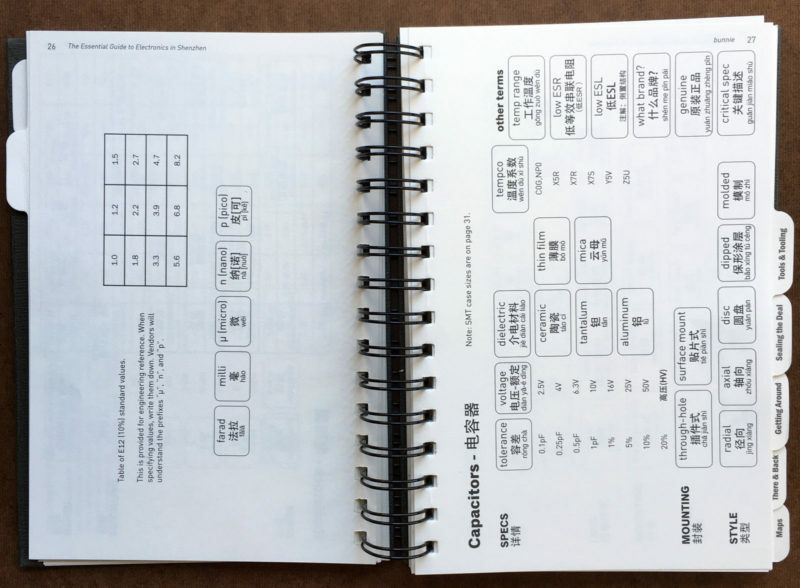 The Essential Guide to Electronics in Shenzhen is a niche travel guide to the famed electronics market/complex – often referred to as SEG or Huaqiangbei – in Futian, Shenzhen. The guide draws on the author Bunnie Huang’s many years of experience as an engineer, entrepreneur and foreigner in Shenzhen. 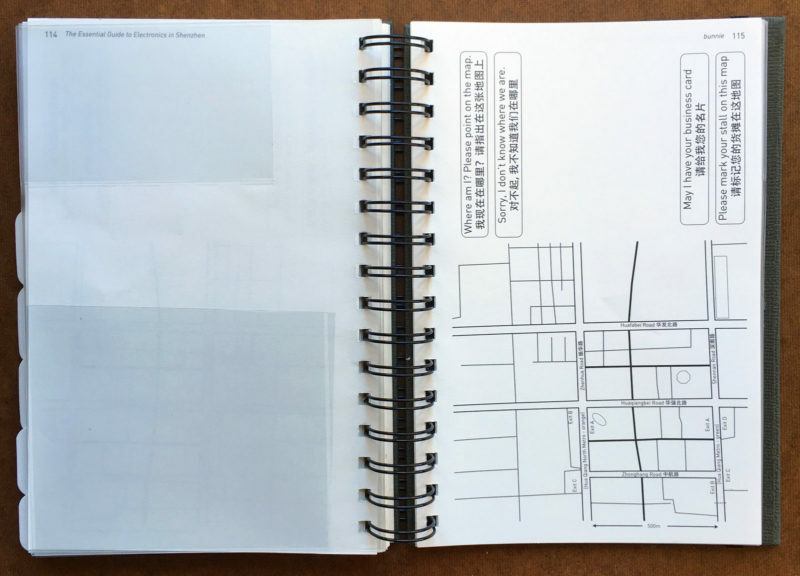 In a way, this guide is the physical, book version of the tour that Bunnie has been giving friends and fellow travelers since 2009 (which we wrote about here). The essential information that Bunnie does highlight includes details about travel (transport, visa, phone cards) and a breakdown of what building in SEG sells what (important because it’s actually not easy to figure out once you’re there). If you are planning to visit SEG any time soon, and particularly if you want to try your hand at sourcing parts there, The Essential Guide to Electronics in Shenzhen is an indispensable guide. I haven’t had a chance to test it in the field myself, but based on my past experiences there, this would’ve saved me a lot of headaches. 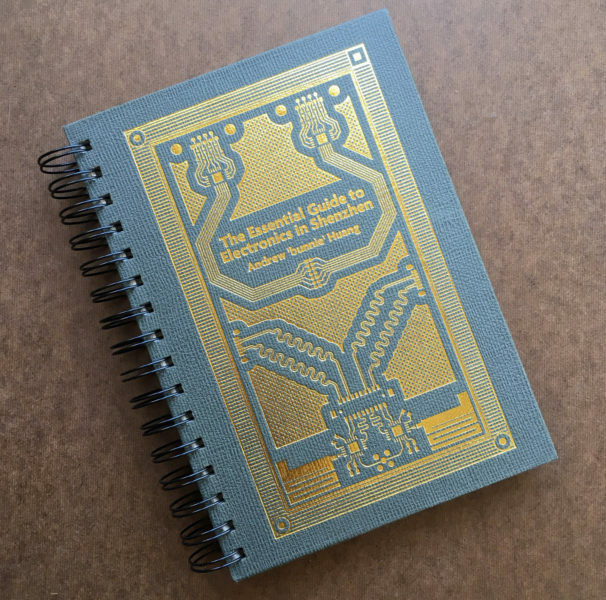 Buy a copy of the book from Adafruit today.